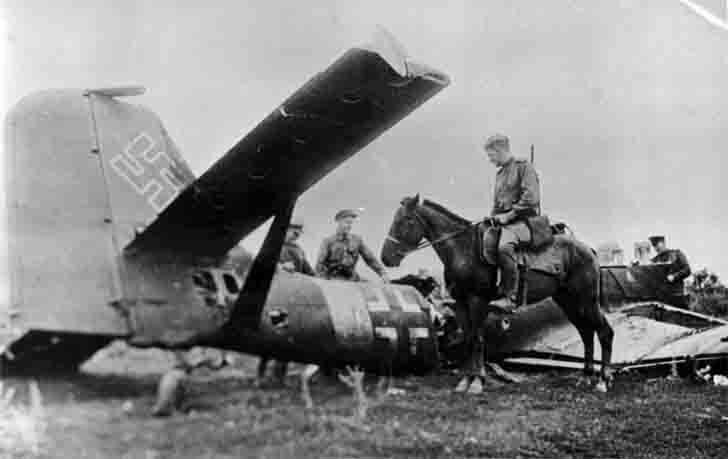 Soviet cavalry to inspect the downed German Junkers Ju-87 Stuka (Ju-87D) dive bomber. The Battle of Kursk. Junkers Ju-87 «Stuka» (Stuka = Sturzkampfflugzeug – dive bomber) – German single-double (pilot and rear gunner) dive bomber and attack aircraft of World War II.